Dagora will be your best friend during your early stage of the game. He will really be helpful in levelling up. Level him up to 5* and smack him with Energy runes with HP on slot 2/4/6 he is a beast in farming faimon. If you need him to farm faimon hell, you need to rune him with Vio and revenge and get as much HP as you can get, you can clear faimon hell at ease. Why Dagora is so good. That would be because of his third and second skill. His third skill revives with 30% HP at the last dying breath using the power of unbreakable will. And his second skill recovers your HP by 30% and increases Defense for 2 turns. At max skill his second skill can be used every 3 turns. He will definitely succeeded in dealing with faimon because of this. His first skill attacks an enemy and deals a damage that is proportionate to his max HP. If you decide to use him, I would recommend to rune hum with Violent/Revenge with HP% on slot 2,4 and 6. So where you can use Dagora? 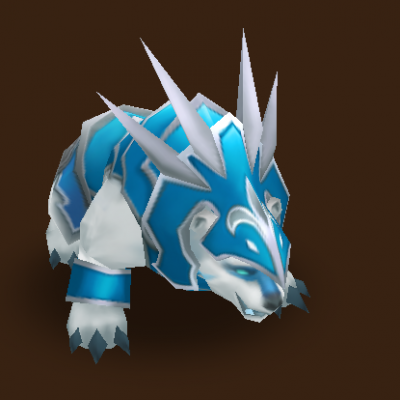 You can use this water warbear in farming Faimon. He is also useful in running early stages of Dragon and Giant Dungeon. Thrashes the enemy, inflicting damage proportionate to your MAX HP. The attack has a 50% chance reduce the enemy's Attack Gauge by 25%.